I have been trying to figure out how to post the pictures from our family vacation. What is holding me back in narrowing the pictures down to a "normal" amount. There are so many great shots of the kids, family, and about 674 pictures of the amazing views and scenery. 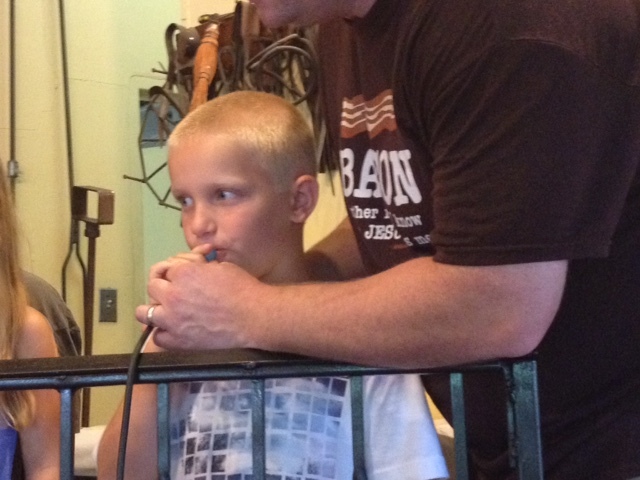 Last week we visited the Gatlinburg area of Tennessee along with my cousins and their families. Our cabin was located in the beautiful Smokey Mountains and the views were absolutely breath taking. The drive to get to those views, however, was not my cup of tea. I have definitely had enough motion sickness and pure fear of falling off the side of a mountain to last me awhile. While in the area, we visited the Dollywood theme park (2 days on the theme park side and 1 day on the water park side). 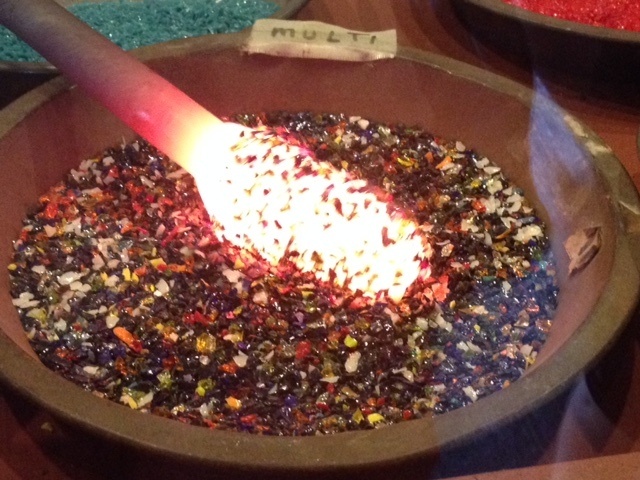 While at the theme park, we happened on a glass blowing demonstration type area. It was also connected to a glass store where I practically grabbed my children, tethered them to my side, shoved their hands in their pockets, and repeatedly instructed them not to touch any thing. It appeared the glass blowing demonstration was over for the day but I thought I would ask any way. 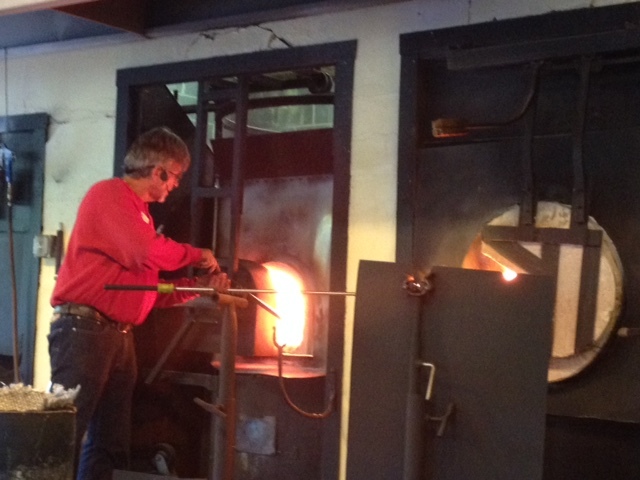 To our luck, the glassmith over heard my questions and offered to give us a demonstration. 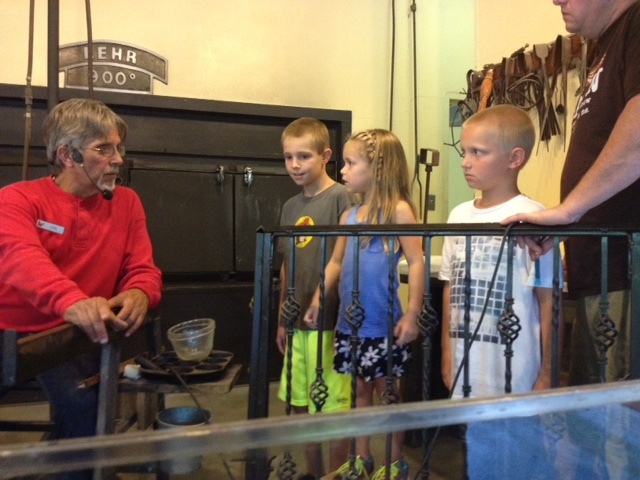 As homeschoolers, we are constantly looking for hands on learning experiences for the kids. 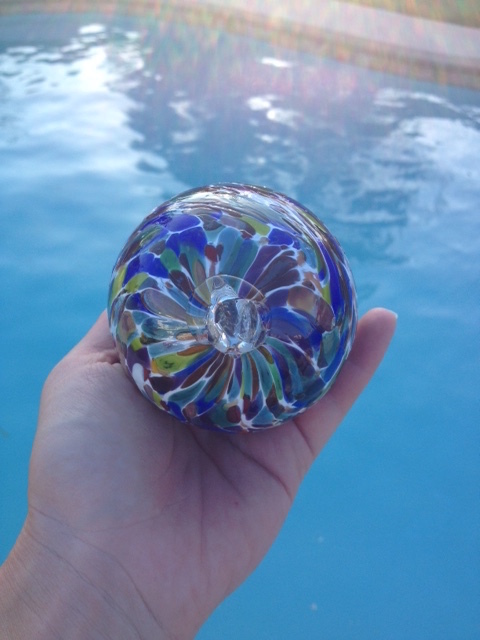 From our experience, when someone has a craft or skill and they find out we are a homeschooling family they are more than willing to give the kids an on-the-spot lesson. Plus, our kids are very inquisitive and always have lots of questions. We asked him if the kids could help in any way and he told us they could assist him in making an ornament. Absolutely, sign us up!!! Getting the rules and guidelines of where to stand and what to do. So many questions at this point about the temperature of the fire. Lots of oo's and aww's form the kids (and the adults). :) At this point, we were drawing quite the crowd of other spectators. 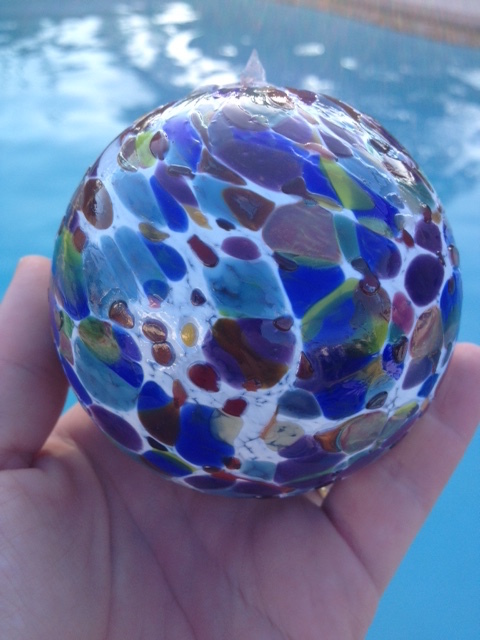 First he rolled the molten glass in white glass pieces and then the multi-colored pieces. 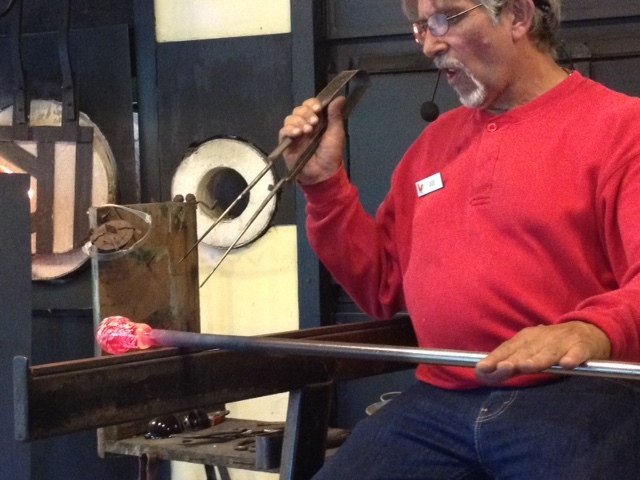 Each of the kids took turns blowing into the blowpipe as the handler sculpted the glass. While the kids blew into the tube this was happening on the other end. And this is the point that my phone died - ugh, NO!!!!!! 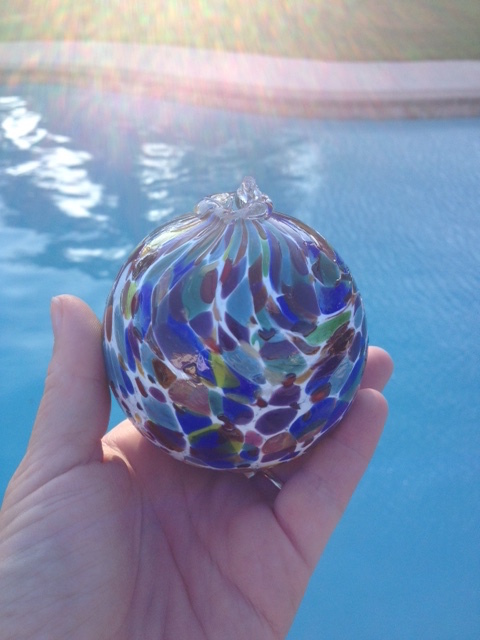 Due to glass being crazy hot, we were not able to take the ornament with us. They assured us they ship all over the world and our ornament would arrive safely to our doorstep within a week. So you can imagine our excitement today when the UPS guy rang our doorbell. Rolled in bubble wrap, placed in a box, and then that box placed in a million packing peanuts in a larger box sat our beautiful ornament. We did have a moment of disappointment when we realized the top loop was broken off. This would have been the part for a ribbon and then placement on our tree. I tried to put a positive spin on it and ease their disappointment (and mine). I told them we could some how display it on a shelf where we could enjoy it all year. Also, it is very heavy and I am not sure it would have been safe on the tree. Traveling with Kids - DVD's and Buc-ee's!! !